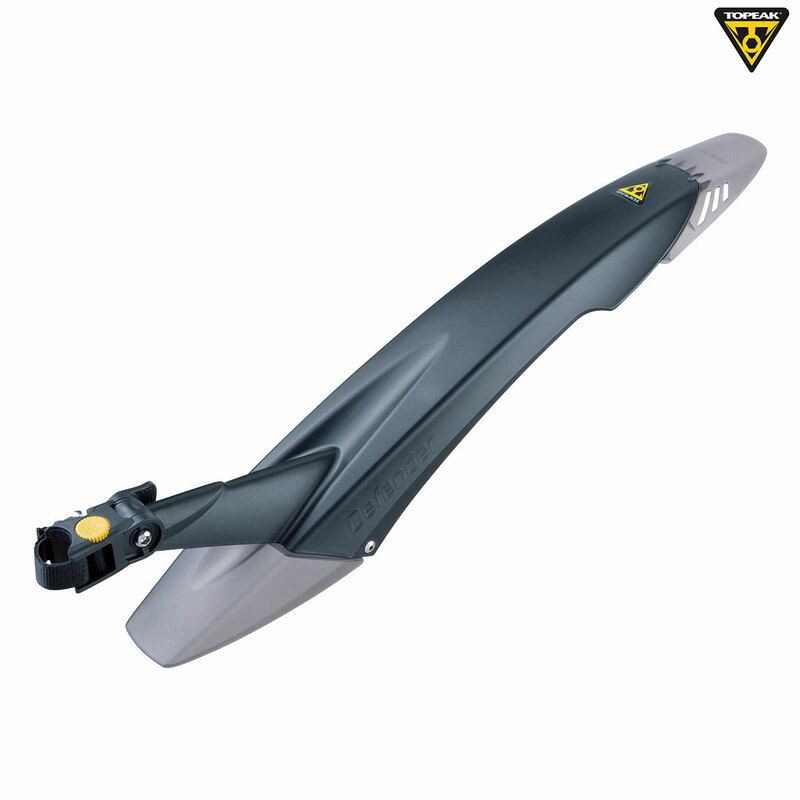 Defender front and rear fenders are the perfect complement to any mountain bike. Special design allows the rear fender to be adjusted to fit both hard-tails and full suspension. Quick release seatpost attachment and clip-off front fender means you can install and remove these fenders in seconds. Wide profile for maximum coverage Rear is fully adjustable in height and angle Cool motocross profile looks good on both hard-tail and full suspension bikes Durable injection-moulded nylon construction Quick release for both front and rear.